Lindsay residents can count on their local personal injury lawyers to protect their rights and fight for justice. ABPC Law is dedicated to help victims of personal injury and have over 75 years of experience helping local residents obtain the compensation that they deserve. Lindsay Personal Injury Lawyers have helped countless victims of Traumatic Brain and Spinal Cord Injuries, Orthopaedic Injuries, Injuries caused by Psychological Trauma and Chronic Pain. ABPC Law specializes in injuries resulting from Motor Vehicle Accidents, Slip and Falls, Public Transportation Accidents, Pedestrian Accidents, Motorcycle Accidents, Dog Bites, Product Liability Claims and Long Term Disability. The practice of ABPC Law is 100% dedicated to personal injury. We have the experience, expertise and resources necessary to ensure that your rights are protected and that you receive all of the compensation to which you are entitled. If your injuries prevent you from seeing us at our office, a Lindsay Personal Injury Lawyer will come to you. Whether at home or at the hospital, we will meet with you and explain your rights and entitlements. Our proven track record of success allows us to make our “We Win or it’s Free Guarantee,” meaning that if we do not win your case, you do not owe us anything! Lindsay Personal Injury Lawyers have been protecting the rights of Lindsay injury victims and recovering substantial amounts of compensation for victims and their families. If you were injured, you deserve compensation. 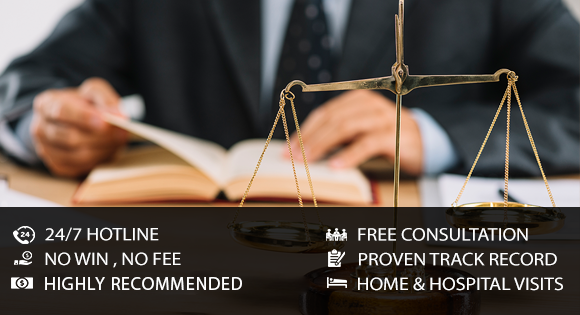 Contact your local Lindsay Lawyer now for a free consultation and ensure that your rights are protected. If you have suffered injuries in an accident and are looking for justice, you can count on ABPC Law to offer assistance and legal representation. With over 75 years of experience in personal injury cases, we strive for justice and helping people obtain compensation. We have helped victims of traumatic brain, spinal cord, orthopedic injuries as well as chronic pain, psychological trauma and even represented clients with long-term disability that has led to loss of employment, wages and long term medical bills. We are completely dedicated to bring justice in case of personal injury. Our injury lawyers in Lindsay are well versed with the latest nuances of Ontario Tort laws. Our years of experience, resources and expertise are required to help protect your rights and win the compensation that you richly deserve. We know that legal issues are distant from your mind when you or a loved one is injured. But legal assistance becomes important when you need to claim insurance or be represented during a trial and you are injured due to an accident, or product liability or even negligence. ABPC Law works with you on all aspects of the case and strives to ensure that you get the maximum compensation on your claim. If due to your injuries you are unable to visit our offices, we’ll be able to meet you at the hospital or home and explain your rights and chances of claiming the entitlements. Working on a contingency basis, you don’t even have to worry about arranging finance to pay the legal fees.